KALININGRAD, May 4. /TASS/. The Project 11711 large amphibious assault ship Ivan Gren built at the Yantar Shipyard on the Baltic coast has successfully completed sea trials, Shipyard spokesman Sergei Mikhailov told TASS on Friday. "On Thursday, May 3, the seaborne part of the state trials of the large amphibious assault ship Ivan Gren was completed. 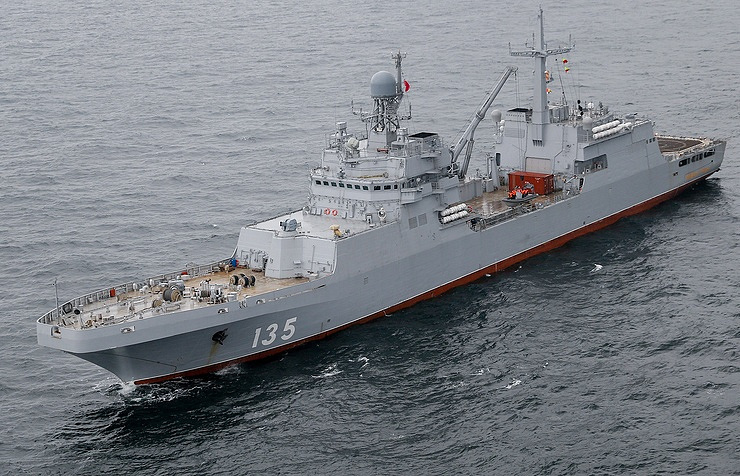 During the sea trials, the operation of the warship’s systems and complexes was checked by the state acceptance commission of Russia’s Defense Ministry," the spokesman said. The sea trials were held in the Baltic Sea and involved the shipbuilders’ team and the warship’s crew, the spokesman added. The Ivan Gren is currently staying in the shipyard’s harbor while works have started on its board to review its equipment and carry out finishing work, he added.